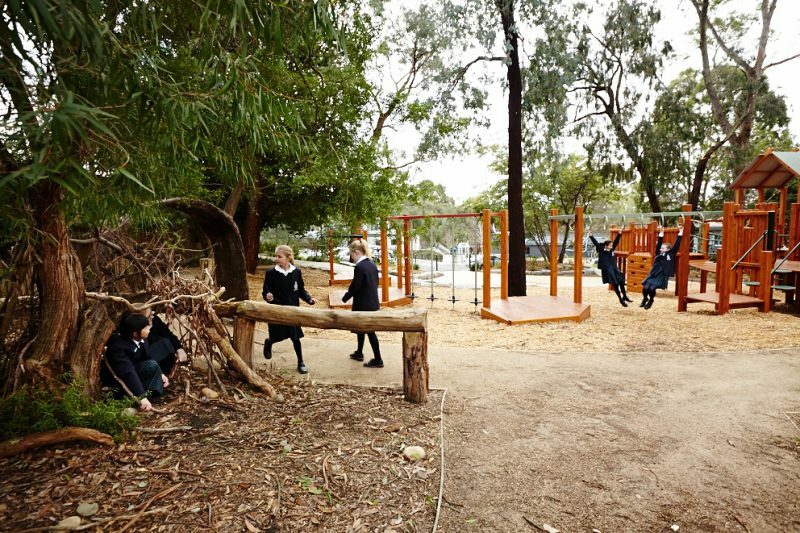 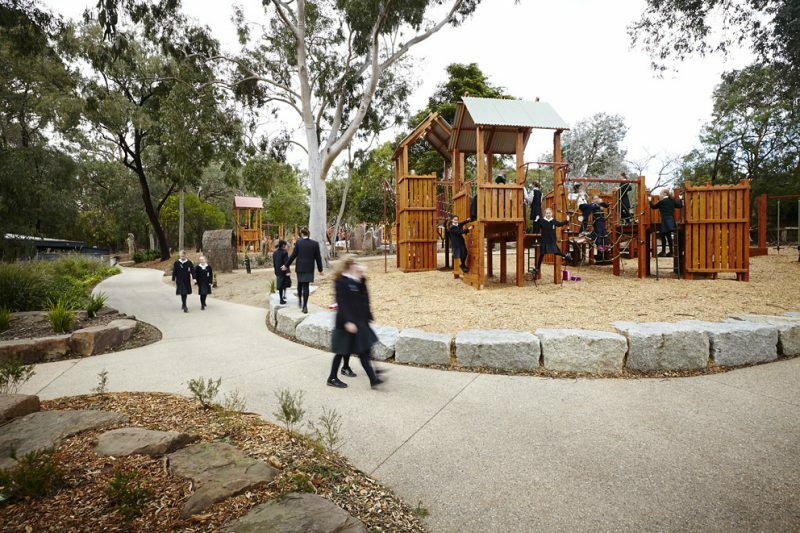 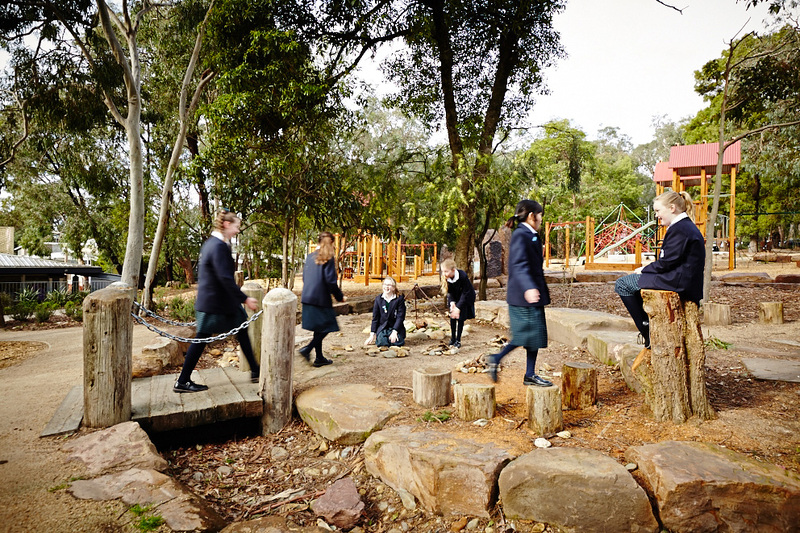 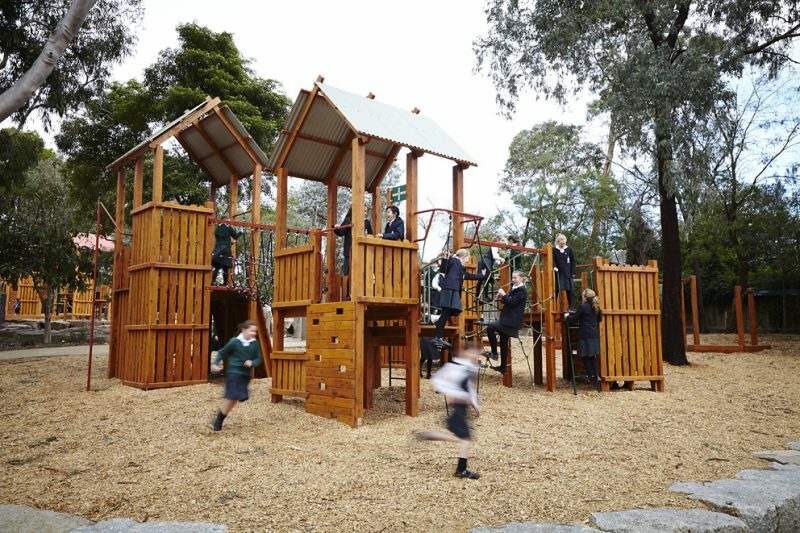 Jeavons were tasked with designing two distinct playspaces to cater specifically for girls and boys as requested by the school. 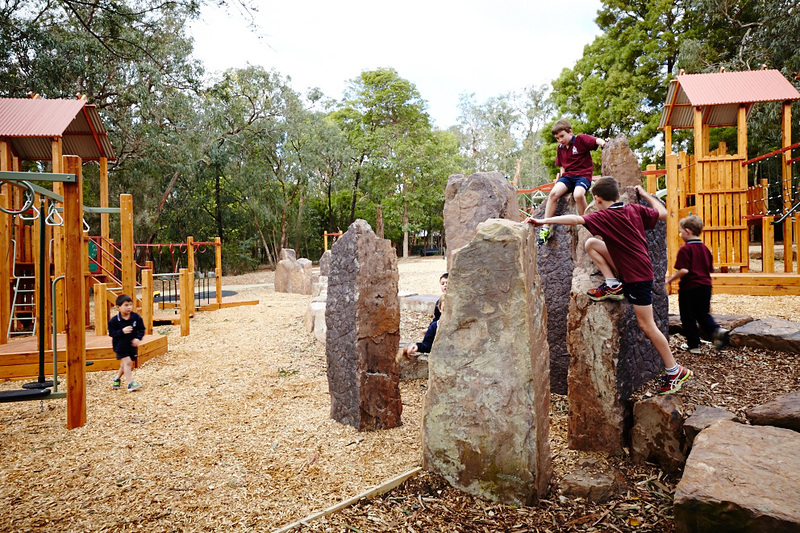 The recently constructed playspaces at Tintern for the grades three to six includes a range of diverse natural and built play elements in a carefully designed natural setting. 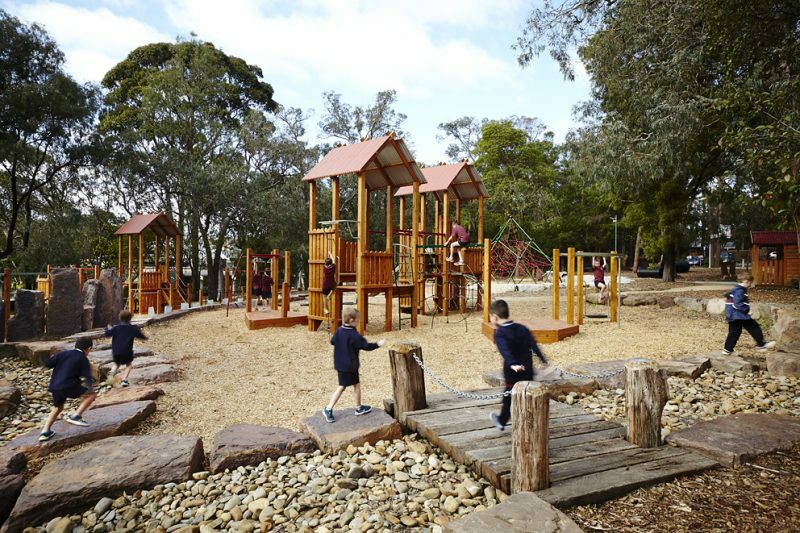 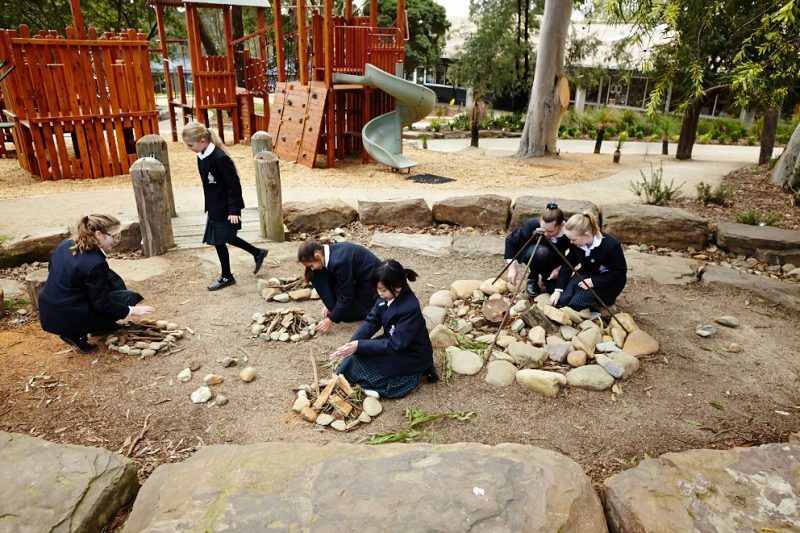 The large outdoor spaces with natural materials allows kids to build their own cubbies, play in a meandering dry creek bed and use their imagination to explore the space. 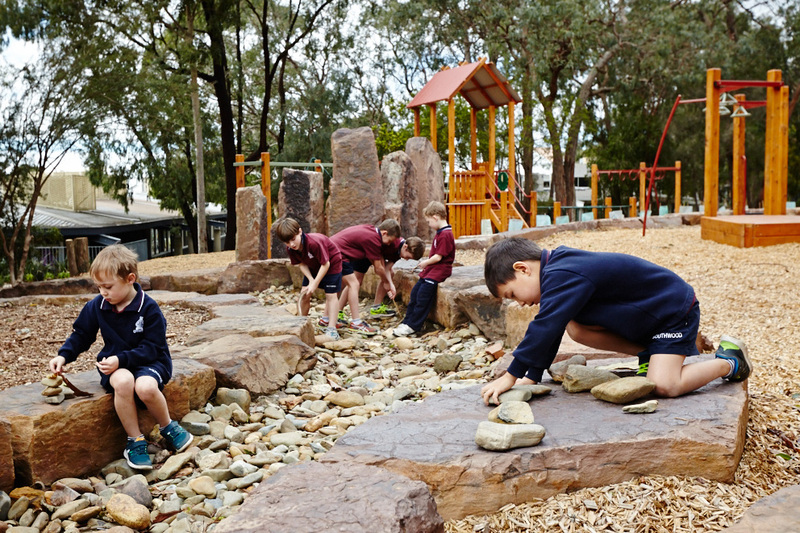 The complex level changes on site were creatively resolved through the creation of stone amphitheaters, mounding, creek beds and accessible pathways.